There are so many cleansers on the market, I think it's hard for skincare brands to wow consumers with their versions and formulas. Whether it's an oil, balm, gel, foaming or non-foaming, etc, I like my cleansers to refresh my skin and avoid leaving my face feeling tight or dry. The Nourish Kale 3D Cleanse is unlike any other cleanser I have tried before, it's colour changing! I'm all for a novelty, so when I saw this claim, I couldn't wait to try it out. The directions suggest you apply the cleanser to damp skin and massage in until the product's colour changes to green. When you pump the cleanser into your hand, it's a pearly light green colour, which when massaged into the skin, the green shade intensives. Noticeable changes in products are very satisfying as its a signal it's working. I found I took longer massaging this in to see the colour change, rather than rushing as I normally do with a cleanser. So I took more time to cleanse and appreciate it's hard work to remove traces of makeup and dirt. 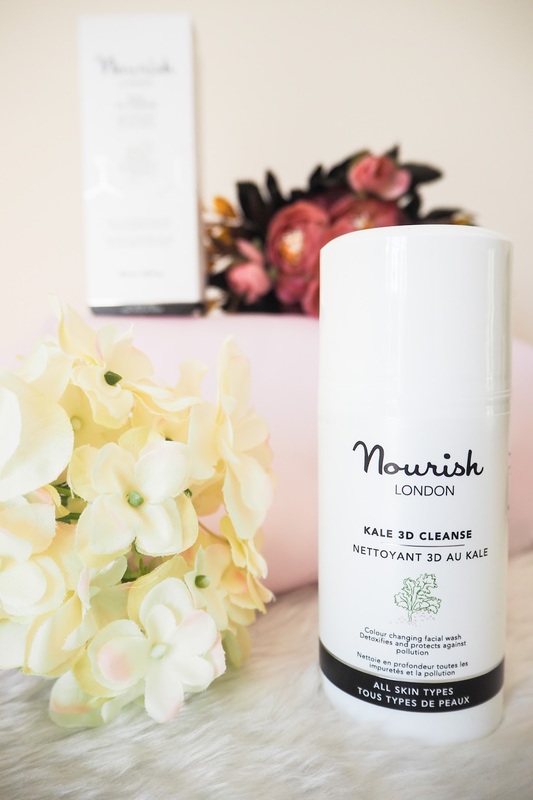 The Nourish Kale 3D Cleanse contains hylauronic acid, probiotics and oxygenating extracts, so it doesn't leave the skin feeling stripped after cleansing. My skin felt soft and refreshed after use and I enjoyed using it and choose it over my other cleansers. Another great thing about the Nourish Cleanse is that it contains 70% organic ingredients, is crutely-free and suitable for vegans. It's a guilt-free skincare product. 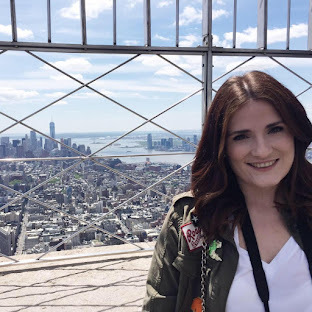 As I love the cleanser so much, I've been researching their other products. I now currently have the starter kits on my wishlist to try more from the brand. If you are a cleanser lover like me, I would highly recommend the Nourish Kale 3D Cleanse, £25 for 100ml. Thank you Salma! Let me know what you think of it if you do purchase it! This is the first time I have seen this cleanser but I am definitely intrigued by this, it definitely sounds like it has everything I look for in a cleanser!